Today all across America, people are celebrating Martin Luther King Day. And it’s interesting to see how this national holiday even seems to find its way into the Kindle. I was surfing the web on my Kindle Fire when I found the complete text and video of King’s most famous and inspiring speech. And searching Amazon’s Kindle Store also turned up 14 different ebooks that let you remember the words of the famous 1960s activist for civil rights — most of them now available for just than $10. 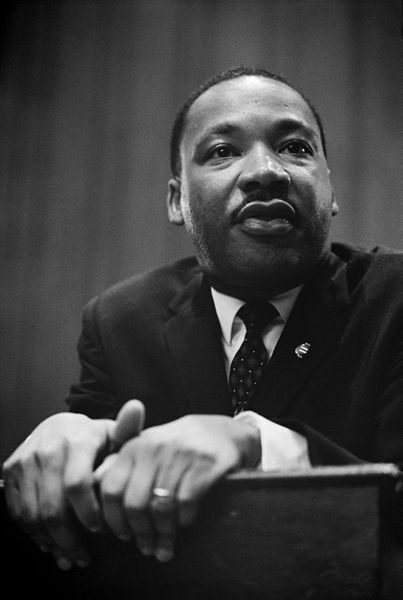 For a shortcut to Amazon’s Martin Luther King ebooks, go to tinyurl.com/KindleMLK. But not only can you read the “I Have a Dream” speech on several free web pages. One site even accompanies the speech’s text with an actual audio recording of King himself delivering the speech on the steps of the Lincoln Memorial in August of 1963! It’s wonderful to hear his voice rise and tremble with emotion, as the audience joins in with encouragement. Martin Luther King was a truly inspirational speaker. (According to Wikipedia, it was ranked the greatest American speech of the 20th century in a survey of 137 American academicians who study public speaking.) But it’s important to remember that was just one speech in a longer career of activism. One of King’s most eloquent works was his “Letter from Birmingham Jail”. It’s part of a longer book — titled Why We Can’t Wait — which became a best-seller when it was released in 1963. And 50 years later, it’s now available as a Kindle ebook. There’s also two collections of King’s speech — A Knock at Midnight and A Call to Conscience. Both books include introductions for each speech written by other spiritual and political leaders, including the Dalai Lama, Archbishop Desmond Tutu, and Senator Ted Kennedy. I’m tempted to purchase the audiobook version, so I can listen to it on my Kindle Fire. There’s also an audiobook version of Martin Luther King’s autobiography — read by Levar Burton — as well as a Kindle ebook. And it does give me a warm feeling to see people remembering his life and his works. Browsing Amazon’s selection of the works of Dr. King, I even discovered a poignant children’s picture book that was based on his “I Have a Dream” speech. It opens with a lovely watercolor of the crowd gathering around the Lincoln Memorial on a sunny day, and excerpts some of the speech’s most important passages. “I say to you today, my friends, that even though we face the difficulties of today and tomorrow, I still have a dream…” the book begins. A One-Day Sale on the Kindle Fire HDX! Click here to subscribe to this blog on your Kindle! My new Kindle word game! Available on ALL e-ink Kindles! Buy a color Kindle Fire HD tablet! Buy a new $69 Kindle! Buy a new $99 touchscreen Kindle! Is The Net Good for Writers? 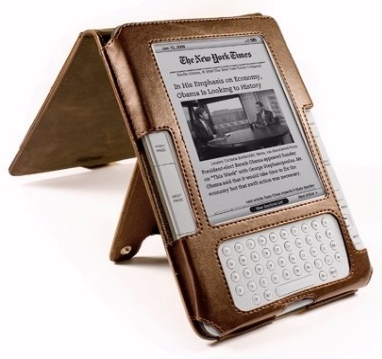 Read this blog on your Kindle!